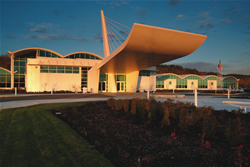 Projects - E&S Hardware and Supply, Inc.
Emerald Queen Casino & Hotel - Aecon Buildings, Inc. This project took over a year, spanned three different buildings and a parking structure, and ended up being one of the biggest projects that we have ever done. 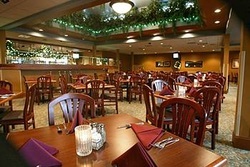 All of our products were used the renovation and upgrade of the garage, casinos and hotel. Check out their website here. Courtyard Marriot @ The Alaska Building - OPUS N.W. This renovation of a downtown Seattle landmark was a challenge for our team of employees, but it ended up being a complete success! All of the interior rooms are equipped with welded hollow metal door frames by CECO, plastic laminated wood doors by Western Oregon Door and hardware from our "main" lines: Corbin Russwin, McKinney, Norton, and Rockwood. There were over 900 doors supplied for this project and required multiple on-site visits, shipments, and coordination out of our office. Construction of a new complex for the First Baptist Church of Eugene. Project consisted of a three story building with children’s wing, music wing, administration wing, a youth wing, and a beautiful Sanctuary in the center. The cherry doors were made match the cherry veneer throughout the building. Corbin Russwin was used throughout the building along with Western Oregon Door wood doors. The White Stag Block is actually three different buildings leased by the University of Oregon for use as a Portland Campus. All three of these buildings make up about 103,000 square feet of the historic White Stag Block in Portland’s Old Town. This job required special attention in order to duplicate the historical feel and style of the building. Twenty custom 10’-6” Stile & Rail doors were made for the Bickel storefront and most interior openings needed special pull handles, finishing, and coordination. See those red doors on the 1st floor? Click here to see how we made them! Silver Reef Hotel - Aecon Buildings, Inc.
Construction of a new high-end hotel and casino resort by Aecon Buildings. 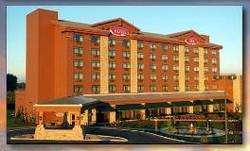 The hotel consists of 105 guest rooms and a total of around 425 new doors for the whole project. Corbin Russwin panic devices, and closers were used on this project as well as CECO hollow metal doors and frames and 160 Woodtech Stile & Rail doors. The cruise line spared no expense when they built the monstrous call center in 2005. From the winter white exterior with the “smoke stack” to the interior environmentally friendly heating & cooling system, this building is truly unique. About 120 hollow metal and white maple doors with round portholes grace the interior for that "cruise ship feel." Many of the openings required on-site fabrication for hollow metal window walls that reached 15’ in height. 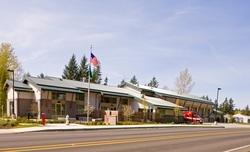 Lakeland Fire Station #33 for the Valley Regional Fire Authority in Auburn, Washington was one of the first jobs where E&S Hardware used Integrated Wiegand Lockset Technology (Access 600/800 tcRNE1) which incorporates all of the traditional access control items into a single lockset! We became ASSA ABLOY Authorizerd Channel Partners for this project and we have used these products, and ones like them, on many other projects. Lakeland Fire Station also used Norton Door Closers and a Pyramid Restricted Key Systems.